I like measure growth in dreams. It sounds positive – what better yardstick than your dreams? Which ones have you attained? Which ones are still on your list to achieve? How different would life be if countries measured how well they had met their citizens’ dreams? This of course, would be wonderful if we all had the same dreams. However, this is not the case. People’s dreams for a happy life are different in the details although they may share a core – a dream of peace, happiness for their family, clean water, food to eat, enough money to live comfortably, religious and political freedom. How does our country fare in helping its people achieve those core aims? Some seem to do it more successfully than others. Image copyright US Games Systems, Inc. All rights reserved. What deck are these cards from? Beautiful! 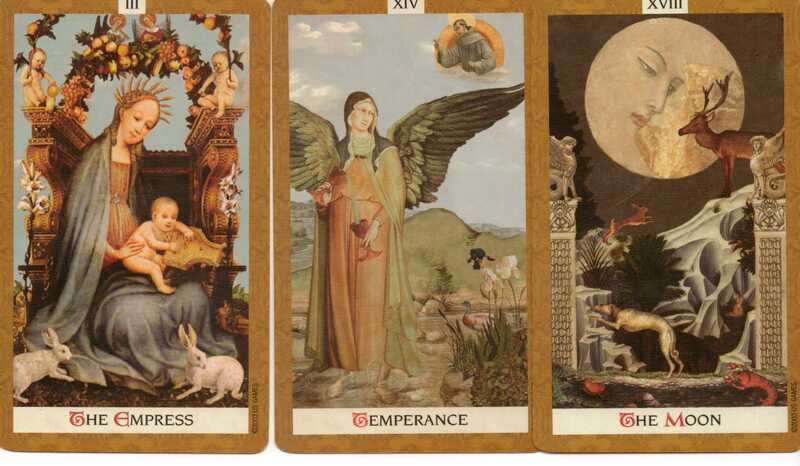 They are from Kat Black’s Golden Tarot. A beautiful set of cards and should be easily available.